In July 2009, Ross Mandell, founder of Sky Capital Holdings, Ltd., a venture capital firm and brokerage, was arrested by the Federal Bureau of Investigation and charged with violating the Securities Exchange Act of 1934. According to the U.S. Attorney’s Office for the Southern District of New York, he and a number of co-defendants had used Sky Capital to run a boiler room operation, and had defrauded investors of $140 million between 2001 and 2006. The firm had been raided by the FBI in late 2006, but was permitted to carry on with its business. Mandell sold his stake in it to a group of clients from the U.K., who renamed it Granta Capital. The case against Mandell and the other defendants went to trial in 2011; the case was heard by Judge Paul Crotty of the United States District Court for the Southern District of New York. By that time, the government had filed a superseding indictment citing four single counts of conspiracy, securities fraud, wire fraud and mail fraud. The final judgments of conviction were entered on May 7, 2012. Mandell was convicted on all counts; he and another defendant, Adam Harrington, vowed to appeal. And appeal they did: a brief was filed with the Second Circuit Court of Appeals in September 2012. Mandell remained free on bail. Sky Capital, though headquartered in New York, was most active in London, where it traded on AIM, the London Stock Exchange’s international market for smaller growing companies. It catered to a predominantly British client base. In its case, the government argued that Mandell had defrauded those U.K. investors as well as a smaller number of U.S. investors by manipulating the price of stocks that were, like Sky Capital itself, traded on the AIM. Between the time of Mandell’s arrest and the trial, the Supreme Court had ruled on a case called Morrison v. National Australian Bank, Ltd. The case turned on a fraud largely committed outside the United States. Before Morrison, the most frequently cited applicable law dealing with this kind of extraterritorial reach by U.S. courts was a case called United States v. Bowman. The Supreme Court’s opinion was written in 1922 by then Chief Justice (and former President) William Howard Taft. In it, Taft held that “Citizens of the United States, while in a foreign country, are subject to penal laws passed by the United States to protect itself and its property, and for infractions abroad are triable, under Jud.Code § 41, in the district where they are first brought.” In Bowman, however, the injured party was the U.S. government. Taft’s ruling did not suggest that U.S. law could be generally applied to offenses committed by U.S. citizens outside the country. At trial, Robert Grabowski, a co-defendant who had pled guilty and cooperated with the government, testified that “most of our investors were U.K., 99 percent. There were a couple that were U.S.” Mandell claimed that the solicitation of those foreign investors was done in accordance with U.K. law, and that the shares in question were offered under the SEC’s Regulation S, and so could not be offered or sold within the United States, or to U.S. residents. He suggested further that when the Morrison decision was handed down, prosecutors sensed it might create problems for them, and filed a superseding indictment adding new charges of mail and wire fraud. At trial, the government produced only five U.S. citizens as witnesses; far from being relevant to the proceedings, they had participated in private placements that did not fall within the relevant statute of limitations, which had expired on June 30, 2004. The prosecution also called three English investors to testify about their experiences with Mandell’s companies. It was only on appeal that the government dug through trading records and stated that 15 U.S. citizens had invested before the statute expired. Since it was an appellate case by then, they did not testify, and it is not known whether they believed themselves to have been defrauded in any way. After the decision in Morrison, Mandell’s attorneys moved for dismissal of all counts of the indictment. The lower court denied the motion, and subsequently allowed the government to introduce evidence relating to the U.K. private placements and stock manipulation alleged to have taken place on the AIM exchange. The appellants also asked, “Was the evidence at trial sufficient to convict the Defendants under Count 2 without reference to foreign securities transactions?” and “[E]ven if the evidence was sufficient, were the Defendants nevertheless prejudiced by the Court’s refusal to charge the jury on the need to find a domestic securities transaction?” Mandell’s attorneys concluded that nearly all the transactions at issue were conducted outside the U.S., and so should be excluded from consideration under Morrison. The brief’s author was George T. Conway III, who had successfully argued the case for the respondents in Morrison. In addition, the City Bar saw no inconsistencies in the Supreme Court decisions in Bowman and Morrison. The outcome of Bowman turned on a World War I law that was construed by Taft to indicate the intent of the Congress that had passed it. Absent such clear intent, claims of extraterritoriality are inapplicable. The City Bar concluded that the presumption against extraterritoriality, as articulated in the Bowman and Morrison decisions, applies to both civil and criminal cases. In its case against Mandell, the government argued that the legislative history of that provision reflects a “pre-existing intention to permit the Exchange Act to apply to criminal offenses involving significant conduct in the United States.” The City Bar pointed out that such an argument was meritless, because the Dodd-Frank Act cannot be applied retroactively. The appellate panel for the Second Circuit delivered its decision on May 14, 2014. Applying its own earlier decision in Vilar, it determined that “the jury was presented with sufficient evidence of domestic transactions from which it could find the essential elements of defendants’ securities fraud convictions.” As noted above, all of the transactions cited—the 15 that fell within the statute of limitations—had been added by the government only for the purposes of the appeal. They had not been introduced into evidence in the case that was being appealed. In the end, the panel ruled that in Mandell the evidence of domestic transactions was enough to convict Mandell and Harrington “beyond a reasonable doubt.” It also rejected Mandell’s claim of a flawed jury instruction—one that failed to inform them that extraterritorial transactions should not be taken into account—on the grounds that even if the jury had been instructed as Mandell wished, it would have reached the same conclusions. Upon the loss of their appeal, Mandell and Harrington were incarcerated; Mandell is to serve 144 months in prison. The pair is determined to make one more try, and so has filed a writ of certiorari with the Supreme Court. A writ of certiorari seeks judicial review of a case that has already been heard and, in this instance, already appealed. The Supreme Court is not obligated to grant the writ. If it does so, that is not necessarily because the justices disagree with the lower court; it means only that four justices believe the matters at issue are of sufficient legal importance to warrant a hearing. Originally, the appellants appealed all of the lower court’s findings, on a variety of grounds. As noted, one their most important objections was that the jury had not received instructions explaining the importance of the Morrison ruling on extraterritoriality to the case. 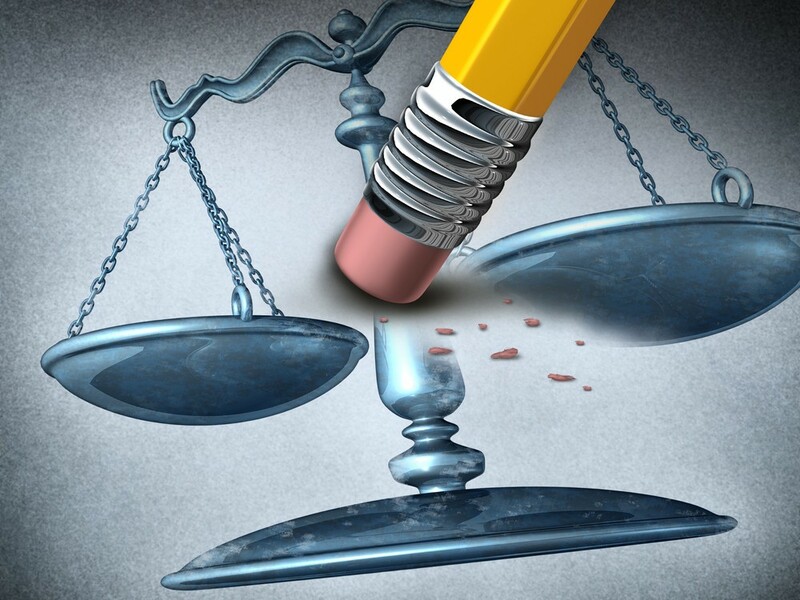 While the Second Circuit acknowledged that the jury instructions may have been flawed, in the end it found that to be “harmless error” that had not ultimately affected the jury’s verdict in the case. Mandell and Harrington argue that the error made was not harmless. They contend that because the jury was not specifically told the U.K. transactions and other actions undertaken in England—overwhelming in number as compared to the U.S. transactions—should not, in the wake of Morrison, be considered central or even relevant to its deliberations, its verdict was based on a misconception. Any determination as to whether error, if it occurred, is harmless or prejudicial is necessarily to some extent subjective. It is up to the court of appeals, or, at this stage, the Supreme Court, to decide whether the refusal of the district court judge to instruct the jury as Mandell requested changed the outcome of the case. The government concludes that “this case is a poor vehicle” for considering the broader issues concerning harmless error raised, first because no error of any kind made a difference to the jury’s decision, and second because the evidence of at least some domestic transactions is uncontested. The next step will be for the Supreme Court to grant, or decline to grant, the Mandell writ of certiorari. If its response is affirmative, he will once again have his day in court…six years later. For further information about this securities law blog post, please contact Brenda Hamilton, Securities Attorney at 101 Plaza Real S, Suite 202 N, Boca Raton, Florida, (561) 416-8956. This securities law blog post is provided as a general informational service to clients and friends of Hamilton & Associates Law Group and should not be construed as, and does not constitute legal advice on any specific matter, nor does this message create an attorney-client relationship. Please note that the prior results discussed herein do not guarantee similar outcomes.